Epernay was 1st prize in Charolles Show in 2010. 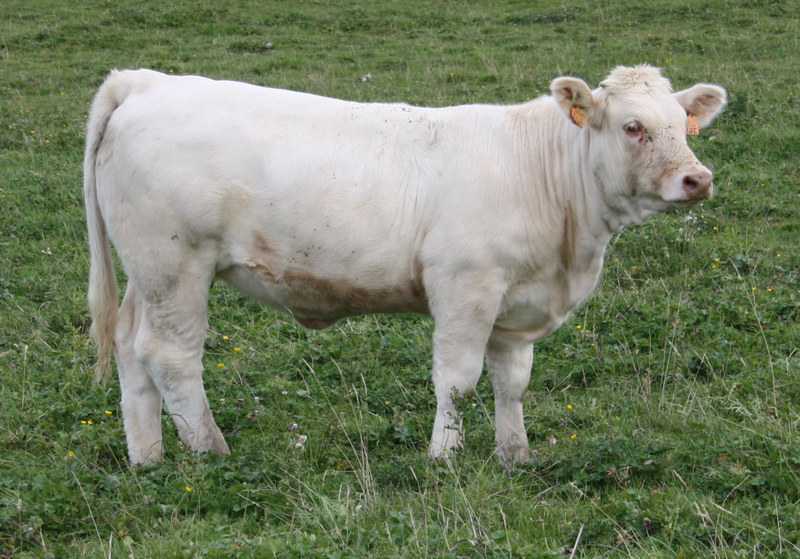 He also sired the winning progeny group of calves in Charolles in 2012. 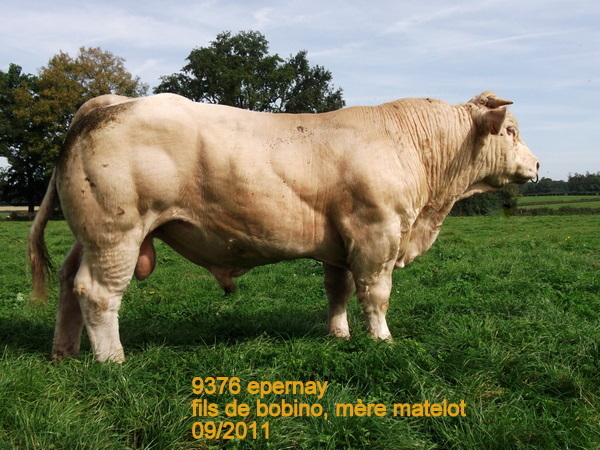 His sire is the outstanding Bobino 71, whose daughters have excellent milk and calving ability and whose sons have shape, growth, power and size. Epernay produces thick muscular progeny with outstanding legs and feet. They have excellent muscling, good growth rates and have exceptional temperament. 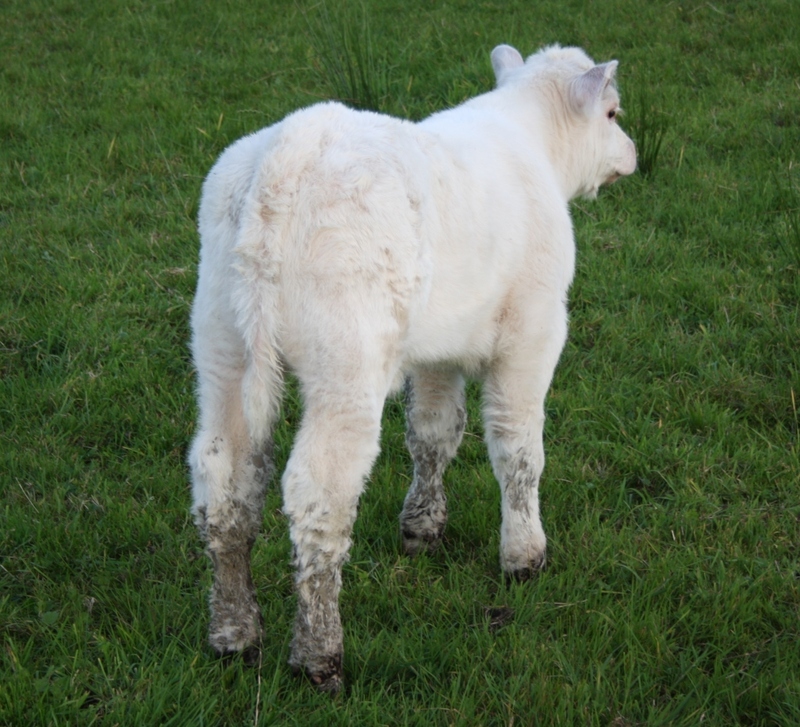 He has an exceptional top, head, muscling and is sure to be a top weanling producer. 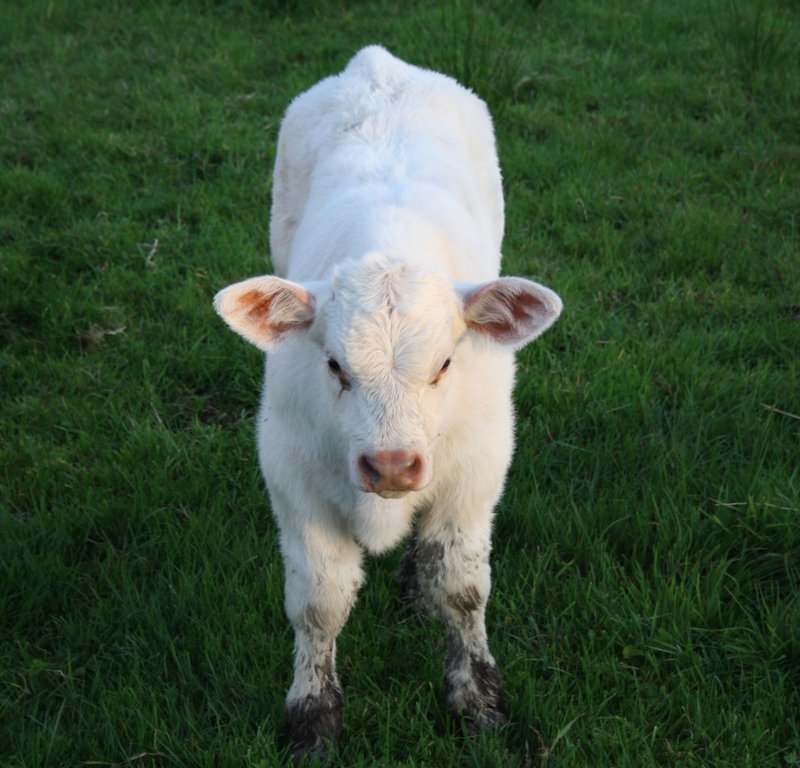 His first calves have arrived in Ireland and they are very, very good. 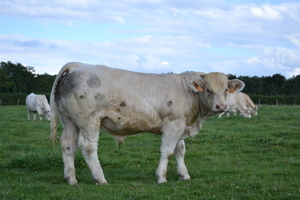 They have excellent shape, topline, heads and are growing on well. 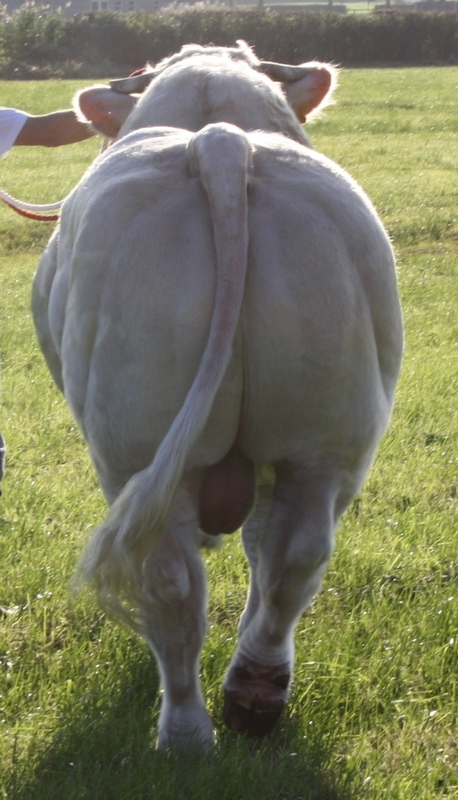 Use on mature cows only.